My personal opinion also is that Malini is not a good choice. However, I disagree with you discriminating her and her profession. She is also a professional actor, and has portrayed some really good characters, which require a good understanding of the society and people. You sound like “professionals” are only those who do white collar jobs in English. Even if you take that definition of a professional, there are professionals and scholars turned politicians who are not necessarily good (hint: GL), and non-professionals who have done great (President Premadasa). I didn’t vote for UNP this time, but I respect Sajith Premadasa because he delivers, and talks about his and the parties work than criticize others. You are not too far away, but I hope that someone like you should waste even less time on useless criticisms. What can these two do while sitting in opposition ? I think we had to appoint some one who is with people so he can get some kind of vote at next General Election. I am the happiest person to hear this news, Harsha. Yesterday night I had the most peaceful sleep for the last three years. Didn’t wet my bed even once. As a wise man, I am sure you will now focus on the national issues at broader level than inflating minor issues like inflation. Belated congratulations to you, Ajith, for being elected to Parliament. We didn’t bother to wish you well when you successfully contested for the inconsequential Western Provincial Council (merely a stepping stone and expensive training ground for aspiring legislators). But national Parliament means serious business — and we hope you will take it very seriously. A nation’s hopes for a vibrant democracy rides on the few of you opposition MPs in this new Parliament. Your task is made more daunting by the stark reality that the UNP and Opposition are currently led by a wimpy serial loser who cannot lead, and will not get out of the way. Our sympathies are with you. Do something about this soon! I am personally very happy at the choice of Eran Wickramaratne. This man is above board in every area of his life. A role model. I am certain that he will do a lot for Sri Lanka. I find Nalakas Gunawardena’s comment on Eran’s tone of voice very child like. Congratulations Eran! You have come into the political arena at the correct time. Many of use are certain that you will set many examples to many people. Congratulations Eran and Harsha. Sri Lanka needs more people like you. Please show us the way. Eran you are the best. I can believe and see you doing much for Sri Lanka. You are a great citizen of this country and you have a flawless character. ERAN WICKRAMARATNE IS THE BEST. CONGRATULATIONS! SRI LANKA HAS HOPE. I thank Mr Ranil Wickremasinghe for choosing educated people over Tamil terrorist Mano Ganeshan.Mr Wickremasinghe has performed a patriotic act by helping to remove Mano Ganeshan from Parliament. 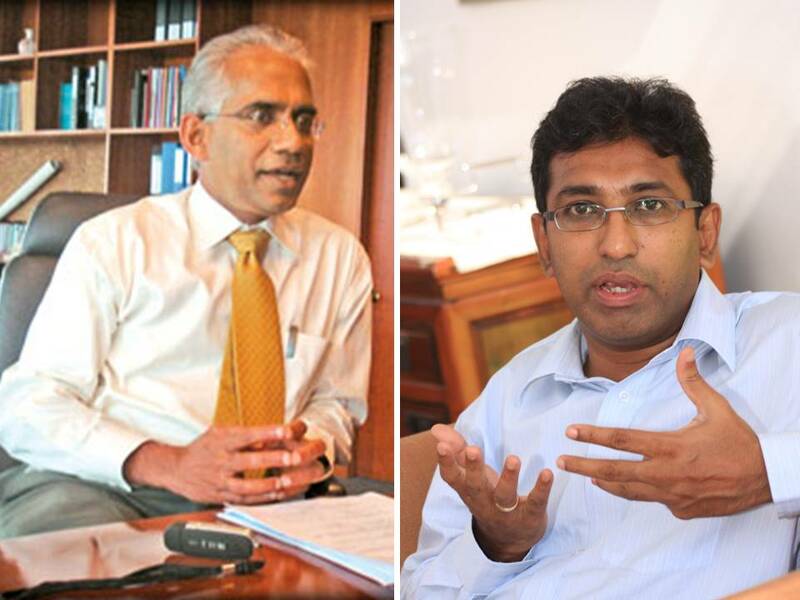 Eran we are all banking on you to change the destiny of Sri Lanka. It seems so far fetched at this time. I personally think only you can do it. Please show us the way. Please. HERE dying away the blog..
April 21, 2010 is the date you have posted something here..
Do you really love your country or just pretend until opportunity prevails.. ?? How unlucky our country is when people like you are ruling it.. I happened to browse through Hon Eran Wickramaratne’s profile as I have been hearing so much about his oratory skills in Parliament. I saw comments about him on this website and thought I should also say something about Eran. He has been outstanding where ever he goes and I hope that the UNP will know the value of this person. He is brilliant and above all he is a man of principles and integrity. I sincerely hope he is not wasting his time in the UNP. It is my sincere wish that he will be the future leader in the not too distant past. Eran I wish you all the very best and we who are living overseas are banking on you to bring about REAL change in this country which many know you can do . This site may be old but let me leave my thoughts on the UNP Parliamentarian Eran Wickramaratne. I met him when he was the CEO of the NDB bank and I instantly recognised a human being who needs to be recognised and supported in his political journey. There is no other like Eran Wickramaratne. He is a absolutely special human being and can contribute immensly to the progress of Sri Lanka . Eran you have my support and I am sure there are many like me who will support you. I do hope the Leaders of this country recognise this special human being. Glad to hear the clean people with a great knowledge who were selected to the parliament.